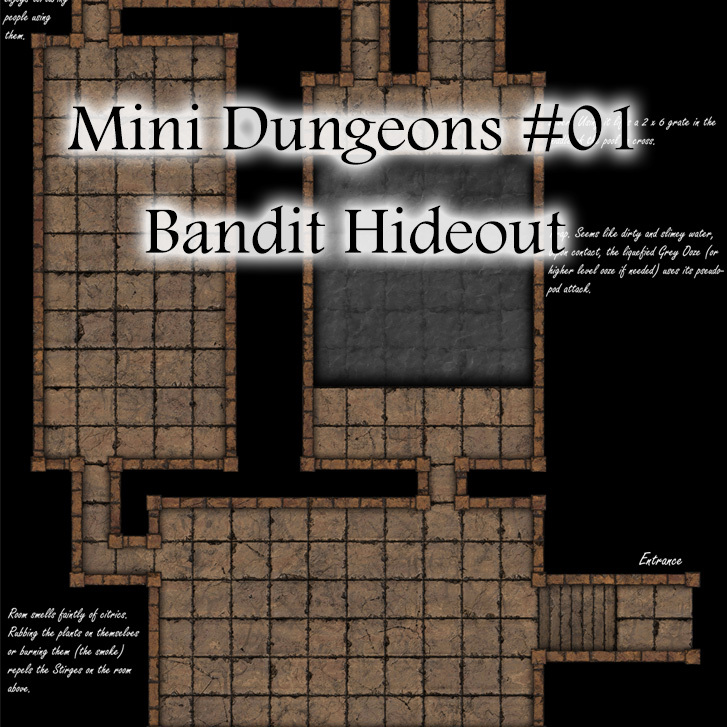 The beginning of a series of mini dungeons you can drop into any campaign without any prep. They offer a high quality map (140px per tile) with Blank and Furnished versions paired with bite-sized chunks of information you can use to swiftly know your way around. Most of the map was created using Dungeon Tiles: DM Essentials, which you can also use to easily extend the dungeon if you’d like.